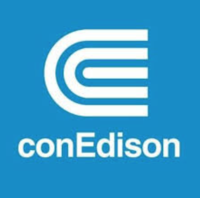 Consolidated Edison, Inc., commonly known as Con Edison or Con Ed, is one of the largest investor-owned energy companies in the United States, with approximately $13 billion in annual revenues as of 2016, and over $47 billion in assets. The company provides a wide range of energy-related products and services to its customers through its subsidiaries: Consolidated Edison Company of New York, Inc., (CECONY), a regulated utility providing electric and gas service in New York City and Westchester County, New York, and steam service in the borough of Manhattan; Orange and Rockland Utilities, Inc., a regulated utility serving customers in a 1,300-square-mile (3,400 km2) area in southeastern New York and northern New Jersey; Con Edison Solutions, an energy services company; Con Edison Energy, a wholesale energy services company; Con Edison Development, a company that owns and operates renewable and energy infrastructure projects, and, Con Edison Transmission, Inc., which invests in electric and natural gas transmission projects. In 2015, electric revenues accounted for 70.35% of consolidated sales (70.55% in 2014); gas revenues 13.61% (14.96% in 2014); steam revenues 5.01% (4.86% in 2014); and non-utility revenues of 11.02% (9.63 in 2014%). Though the company provides an indispensable service to New York residents, a number of major incidents and service problems have negatively impacted its reputation with the public. Latest Financial Information: Consolidated Edison Inc.
John Mc Avoy, chairman, president and chief executive officer, Consolidated Edison, Inc. Timothy P. Cawley, president, Consolidated Edison Company of New York Robert Sanchez, president and CEO, Orange and Rockland Utilities, Inc. Mark Noyes, president and CEO, Con Edison Energy, Con Edison Development, and Con Edison Solutions Joseph P. Oates, president and CEO, Con Edison Transmission Robert N. Hoglund, senior vice president and chief financial officer Jeanmarie Schieler, vice president and corporate secretary Robert Muccilo, vice president, controller and chief accounting officer Yukari Saegusa, vice president and treasurer Elizabeth D. Moore, senior vice president and general counsel Scott Sanders, vice president, Business Finance ConEd Solutions is a member of Real Estate Board of New York. 1989: A steam pipe explosion in Gramercy Park killed three, injured 24, and required the evacuation of a damaged apartment building due to high levels of asbestos in the air. Workers had failed to drain water from the pipe before turning the steam on. 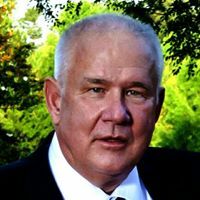 The utility also eventually pleaded guilty to lying about the absence of asbestos contamination, and paid a $2 million fine. 2004: In Manhattan, stray voltage killed a woman walking her dog in the East Village when she stepped on an electrified metal plate. 2006: After the blackout in Queens, the company was criticized by public officials for a poor record in the restoration of service to its customers. 2007: On July 18, an explosion occurred in midtown Manhattan near Grand Central Terminal when an 83-year-old Con Edison steam pipe failed, resulting in one death, over 40 injuries, as well as subway and surface disruptions. 2007: The day before Thanksgiving, an explosion critically burned Queens resident Kunta Oza when an 80-year-old cast iron gas main ruptured. Oza died on Thanksgiving Day, and her family later settled with Con Edison for $3.75 million. 2009: Another gas explosion claimed a life in Queens while Con Edison personnel were on the scene. There was a leak in a manhole and a fault in an electrical feeder at the same time. The fault in the feeder caused the explosion due to the sparks being generated. When the mechanic opened the manhole more oxygen entered and the explosion took place. Due to that event Con Edison has changed its procedure on outside gas leak calls. 2012:On October 29, flooding from Hurricane Sandy caused a transformer explosion at a Con-Ed plant on New York City's East Side. During the storm, Con Edison used social media to get outage and restoration information out to customers. The company’s Twitter account gained an extra 16,000 followers during the storm. Con Edison's subsidiary, Orange & Rockland Utilities, was criticized for its response to Hurricane Sandy. Some customers experienced a loss of electrical power for 11 days. 2014: On March 12, two apartment buildings exploded in East Harlem after a reported Con Edison gas leak. Eight people were killed in the massive explosion that reduced the conjoining buildings to rubble. Con Edison produces 30 billion pounds of steam each year through its seven power plants which boil water to 1,000 °F (538 °C) before distributing it to hundreds of buildings in the New York City steam system, which is the biggest district steam system in the world. Steam traveling through the system is used to heat and cool some of New York’s most famous addresses, including the United Nations complex, the Empire State Building, and the Metropolitan Museum of Art. The Con Edison gas system has nearly 7,200 miles (11,600 km) of pipes—if laid end to end, long enough to reach Paris and back to New York City, and serves Westchester County, the Bronx, Manhattan and parts of Queens and Westchester County. Gas service in Brooklyn, Staten Island and the rest of Queens is provided by National Grid USA's New York City operations, with the exception of the Rockaway peninsula, which is serviced by National Grid's Long Island operations. The average volume of gas that travels through Con Edison’s gas system annually could fill the Empire State Building nearly 6,100 times. The Con Edison electrical transmission system utilizes voltages of 138 kilovolts (kV), 345 kV, and 500 kV. The company has two 345 kV interconnections with upstate New York that enable it to import power from Hydro-Québec in Canada and one 345 kV interconnection each with Public Service Electric and Gas in New Jersey and LIPA on Long Island. Con Edison is also interconnected with Public Service Electric and Gas via the Branchburg-Ramapo 500 kV line. Con Ed's distribution voltages are 33 kV, 27 kV, 13 kV, and 4 kV. The 93,000 miles (150,000 km) of underground cable in the Con Edison system could wrap around the Earth 3.6 times. Nearly 36,000 miles (58,000 km) of overhead electric wires complement the underground system—enough cable to stretch between New York and Los Angeles 13 times. To date, Con Edison has invested $3 billion in solar and wind projects. In September 2017 it was announced that the company would invest $1.25 billion in “renewable energy production facilities over the next three years.” The company’s “renewable portfolio” contains more than 1.5 gigawatts of operating capacity. Seventy-five percent of that capacity comes from solar energy. Clean energy accounts for around eight percent of the company’s earnings, as of fall 2017.